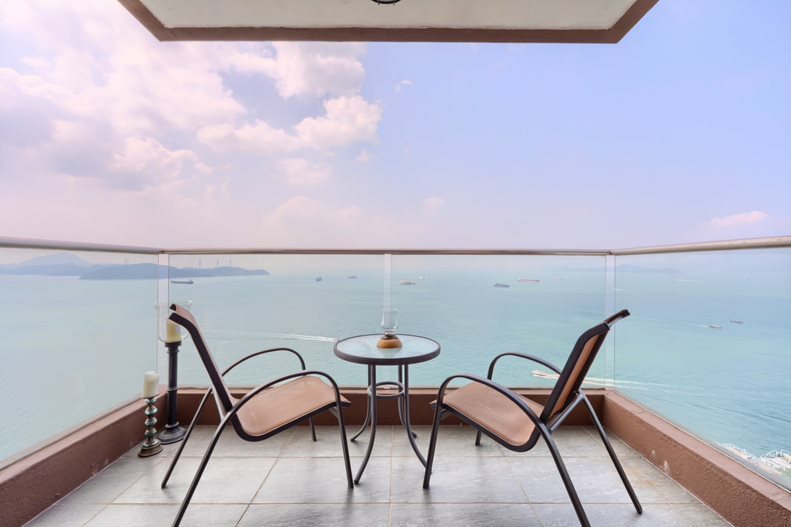 Annie Lee from Landscope Christies International Real Estate offers this three-bedroom luxury apartment on Mount Davis Road. The balcony of the luxury, three-bedroom apartment. 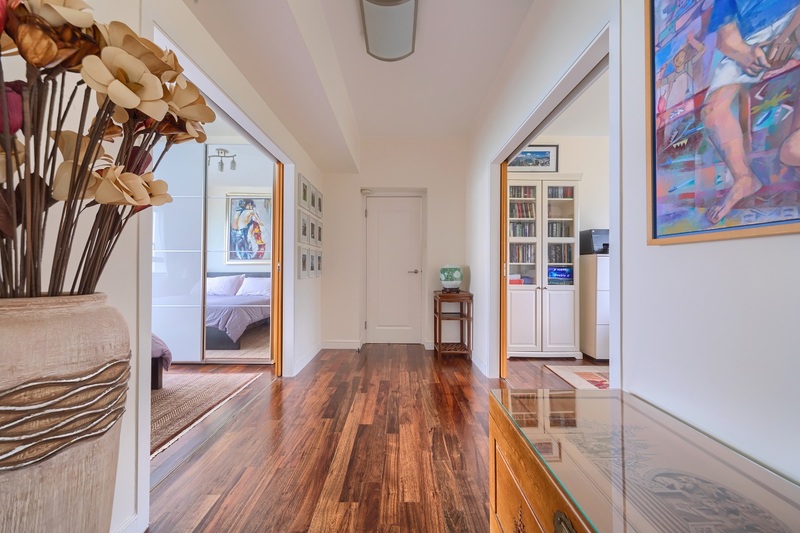 The interior of a three-bedroom apartment for sale in Cape Mansions. The view from Cape Mansions. The entrance to the luxury apartment. The natural seaside landscape of Pok Fu Lam forms the foundation of the Cape Mansions residential area. Known for their views of the water, the dwellings on Mount Davis Road are close to the city, but provide a far more tranquil setting for their occupants. From this environment comes a luxury, three-bedroom apartment offered through Landscope Christies International Real Estate. Positioned high above the water, this exquisitely-proportioned property has a saleable area of 1,707 square feet and an efficiency ratio of 78 per cent. The spacious unit comprises of three bedrooms (one en suite), two bathrooms, a combined living and dining area, a maid’s room, a utility room and a balcony, as well as a car park. The pleasant abode is in good internal condition and is fitted with a well-equipped kitchen. Embodying a sophisticated aesthetic approach that takes its cue from nature, the interior palette reflects all the colours of the great outdoors. Source: Landscope International Real Estate. The fresh, welcoming rooms offer a high level of flexibility to transform settings and moods as homeowners please. A harmonious combination of white walls and dark wooden flooring sets a perfect canvas for any design to shine – be it classic, modern or contemporary. The sizeable windows also mean every inch of the apartment enjoys ample natural light and pleasant views. The property is available for sale at HK$43,000,000. To make an enquiry or to discuss the luxury Hong Kong property market email Annie Lee via the contact details below.